Adventures by Disney - Wyoming Bound! Do you remember the series of Jerry Sienfeld commercials for American Express a few years ago? One of them featured a catchy ditty “Oh, Yes, Wyoming!” For weeks I have had this song continuously looping throughout my head. 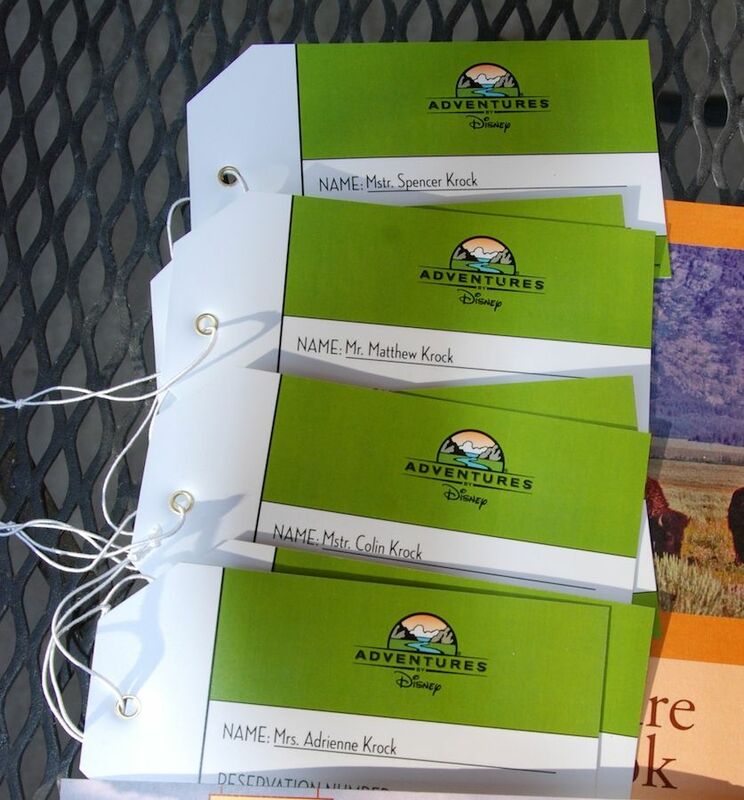 This summer, my boys and I head to Wyoming for our own version of Mommy Summer Camp: Adventures by Disney: Wyoming. When my editor initially approached me about this trip, we had to face some decisions: Should we take the entire family or leave someone at home? Bringing a fifth person on this Disney-sponsored media trip for four would mean a substantial financial commitment from our family budget. Since my husband had already committed to accompanying our sons to two camps, a large chunk of his vacation time was already used up this summer. After several years of summer camps together, I have yet to experience just-mom time with the boys—so we agreed this would be a fun opportunity for just such a trip. In reality, the decision-making process passed much faster than this. When I received the first phone call, I almost immediately answered, “I can leave Kevin at home; I’ll take the boys!” And that was that. For four nights and five days, I will travel with Matthew (my almost-14-year-old), Spencer (my 11-year old), and Colin (my 8-year old). Planning: Letting Disney Do It! For the first time, ever, I find myself relaxing with no plans to make. Disney sent me an itinerary, and I have very little to do. We arrive in Jackson Hole, Wyoming, and from there, Disney takes care of every detail for us—transportation, hotels, sightseeing, and meals. Here and there we may choose a restaurant for dinner or select activities from a short list of choices. Unlike most family vacations, however, my planning workload has been a breeze. Our Adventures by Disney box contains a detailed itinerary and surprises for all four of the Krocks. Photo by Adrienne Krock. The boys had a hard time picking just one thing to look forward to, because as outdoorsmen, everything on this list fits right up their alley. They finally agreed that what they most looked forward to was the whitewater rafting trip on the Snake River, with their secondmost exciting thing being… the fancy hotels. So much for my outdoorsmen. I look forward most to visiting the two National Parks, the Grand Tetons and Yellowstone. I plan to pack our National Park Service Passports, as we enjoy collecting stamps from the various parks we visit. The visitor centers at the parks and monuments often sell them, or you can purchase them online in advance of a visit. Our family enjoys many outdoor activities, such as camping and hiking, so our wardrobes already include many of the items needed for our Wyoming adventures. For hiking, horseback riding, and wandering around Jackson Hole, we have our sturdy walking shoes—but we also have strap-on sandals for our whitewater rafting adventure. We feel most comfortable in light-weight, quick-drying clothing when we hike and camp, so I will pack these for our trip, as well. Several companies manufacture such clothing, and they are available at sporting goods stores. They dry quickly after getting wet, whether from washing them to dry overnight in our hotel room, or after a day of horseback riding. Most importantly, my eldest son and I each plan to bring our cameras with extra memory cards and our battery chargers. Each child may bring one electronic toy. I prefer they limit their time on electronics, as I will not tolerate boys with their heads buried in a game while the beautiful landscape passes them by. That said, even grown-ups bring our movies and games to pass the time on airplanes, so my children may, too. 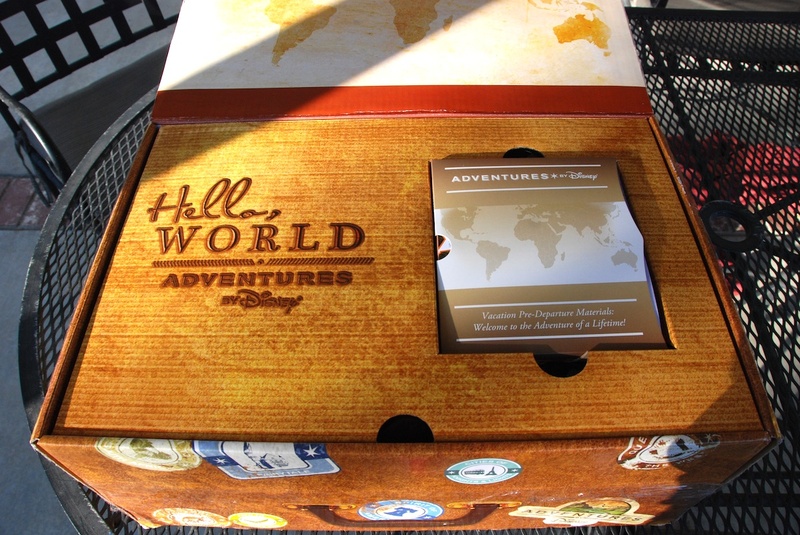 Adventures by Disney provided backpacks for each of us. Besides the cameras and electronics, I told each boy to select a book to bring. In advance of all our vacations, I make travel journals for my children. I customize the journals for each boy’s age level, with questions to help prompt reflections at the end of each day and space to answer the questions. Each boy also selects his favorite art supply, colored pencils, or twistable crayons, along with a drawing pad for his backpack. Finally, I pack mechanical pencils because they make less mess than pencils that need sharpening. Luggage Tags. Disney plans to cover everything. The Krock family can let Disney worry about our luggage! Photo by Adrienne Krock. On a good day, my husband and I are outnumbered with three boys. But for the length of this trip, the boys clearly have the advantage. I mostly fear dealing with the airports and airplane rides. We plan two pieces of carry-on luggage for the three boys to share. With a four-night trip, two carry-ons should be more than enough for the boys. My first hurdle, after getting through the airline screeners with three kids, will be schlepping the bags onto the plane and getting them stowed for the flights. For now, during all of our flights, our seating assignments are separated by several rows. I naturally plan to ask if the airlines can change our seats but I need to prepare for plan B as well. We always have two sets of two seats on each flight. The best plan for our family would be to have the elder two boys together and my youngest son with me. Living in Southern California, our flights to and from Jackson Hole will be very short, but our layovers are very short as well. I plan to bring several protein-packed snacks so we never find ourselves without food for too long. These snacks will also serve us well in Wyoming if we find ourselves away from food services between meals. We like protein bars and simple individually packaged trail mixes such as an almond, cashew, and dried cranberry mix I found at a grocery store. The boys also enjoy making their own custom blend trail mixes that I pack in small snack-sized zip-top bags. The biggest challenge being the outnumbered mom will be disciplining the boys when they act up. I need to have a plan ready before I need to use it. Being on a guided tour limits the options I have to change our plans and withhold opportunities if they act up. As basic as it may seem, limiting desserts and treats may be my best option. With many wonderful meals planned for our trip, I can restrict the sweets as a consequence for poor behavior. I may also restrict the electronic toys. But the worst consequence of all, should a young man misbehave? I will require that he hold my hand and sit next to me at all times until he proves himself able to behave appropriately. Although I know that immediate consequences are best, they may face long-term loss of electronic toys and privileges once we return home from vacation if necessary. Above all, I hope I find all this paranoia and anxiety needless. My kids are generally well-behaved and really look forward to everything on the itinerary for this trip. I doubt they would jeopardize missing out on something fun. From her MousePlanet Twitter feed, I know that the Krocks are on the trip right now. I hope the travels home sound more like 'the plan' then the travels to Jackson Hole. And that the planning for behavior consequences was totally unnecessary. I LOVE the 'hold Mom's hand' consequence!!! Thanks, Cathy, but I have to confess: I only had to use the "Hold Mom's Hand" consequence once. A certain young man kept running away from me in a gift shop on our first night.